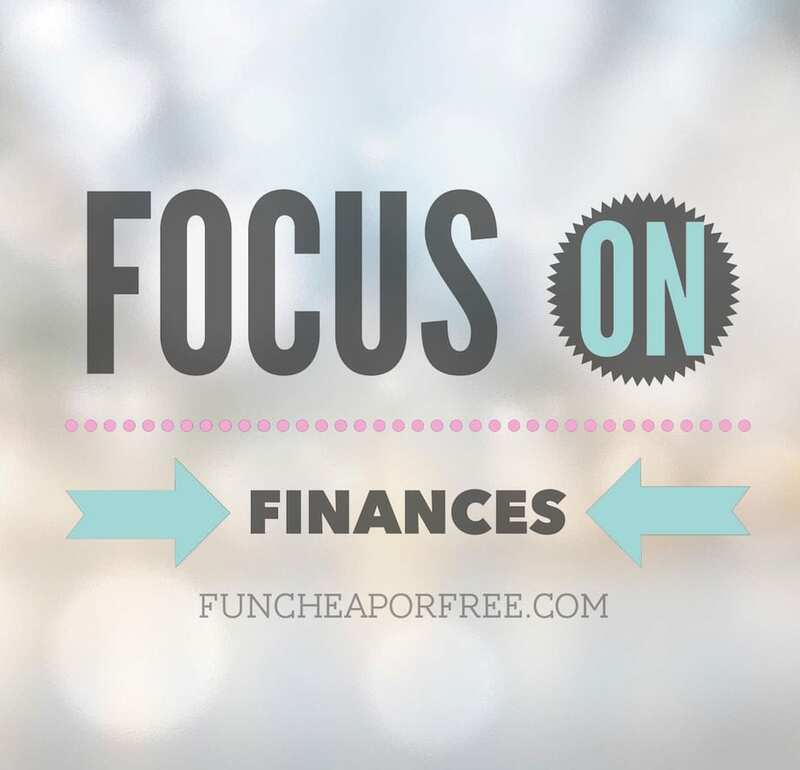 Is anyone else head first in this #FocusOnFinances November Challenge spending freeze week with me? It's been so fun so far! It's been a good challenge, and has been empowering to see all of us band together to do something great for our finances. As I mentioned, my goal is to save $500 this month to completely pay for Christmas. Seeing your goals on the blog post and social media has been so inspiring. We can do hard things!! 1. No spending money for 7 consecutive days. If you’re reading this thinking of all the “but what about…” excuses you can come up with…let it go! Just start! Now! or Tomorrow at least! Fill up your car with gas, run to the store for a FEW small staples to get you by, and just jump in. There will never be a “good week”, never be a “perfect time”, so just do it. For me, the challenge started Sunday 11/8 and will end on 11/15. For you, if you haven't started already, pick a day in the next 2-3 days and go! Doesn't matter what day you start/end on. Utilities and bills, and emergencies are NOT included. But these are true emergencies. Not “but my kid forgot his lunch and needs lunch money” emergencies, but true “our basement just flooded” or “my daughter just broke her arm” emergencies. Gasoline is up to you. For me, it’s like a utility – it’s a “must have” and not a “want to have” item. However, just as with utilities, you can be smart about gas. Try to drive less, and only fill up when you need to. DON'T GO CRAZY TO “PREPARE” FOR THE FREEZE! The world is not ending, folks! 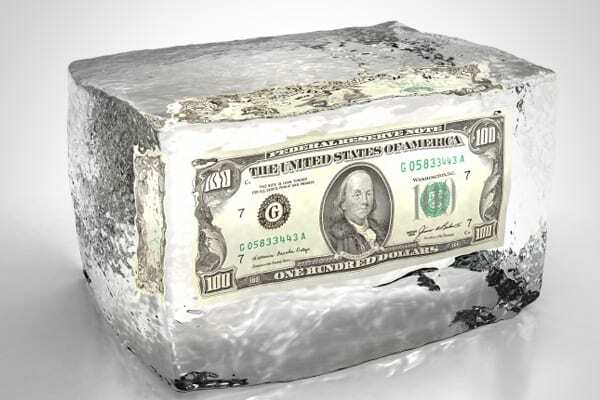 If you are going over your typical budget in order to stock up for the freeze, you are defeating the purpose. To prep for the freeze (which I didn't even really do because I only gave myself 1 day notice) I ran to the store and used my remaining budget for some extra milk and bread. Otherwise I will use what's on-hand this week and SAVE my budget, instead of SPEND it on stocking up. Use your standard budget the week before the freeze to grab a few things you need. Example…we have a work dinner on Friday that we can’t miss. Luckily we won’t have to pay for dinner, but we’ll need a babysitter. Rather than hiring a babysitter I’m going to trade with friends. Yes, it’s more of a hassle to put them to bed at someone else’s house, but it’s worth the savings. “If you’re in, be in ALL THE WAY”. One of the main purposes of this spending freeze is to save yourself lots of money in a short amount of time…but it won’t do you any good if you don’t make a good plan for that money you’re saving. Savings, Christmas, or another financial goal. Literally move the saved money into the proper place – whether it's cash or whether you need to transfer it out of your bank account – so it’s out of sight, out of mind! For heaven’s sake, let us know how you’re doing! We’re a family here, after all! Instagram has been an amazing community of shared ideas lately, as has our Facebook page. Post photos of how you’re avoiding spending money. Use the hashtag #FocusOnFinances and #FCFspendingFreeze for a chance to win prizes! Your spending will go on as usual. Please please pretty please do NOT run out and spend everything you just saved! Pause, take a deep breath, and go back to your typical weekly budget as if nothing happened. It's only been 7 days…there is no need to go nuts at the grocery store, I promise. Use your budget and only your budget to buy what you need that next week. If your fridge is empty, no sweat. Use your normal grocery budget to buy as much as fits within that budget. Tapping into your “other” budget is ok – just don’t borrow from the next week’s budget. Trust me, you can get a TON of groceries for even $100 (see how HERE). The next week you shouldn’t need nearly as many groceries again since you did a big shopping trip (and are going to plan your meals ahead, right??). So you then can use your grocery budget for “other” expenses. The next week you’ll need groceries again, and should be ok in the “other” department. And the cycle will continue that way much of the time. See? That’s not so bad! I hope I covered everything. If you have a question, leave a comment below and I’ll edit the post to clarify it better. Best of luck to all of us this week, I’m so proud! I am all in for this except my kids got invited to a birthday party this weekend. Any ideas on a birthday gift??? Great question! I have a “gift closet” and as my kids get gifts that I know they won’t use or don’t need, or as I see things on clearance, I keep them in the closet to regift. So that’s usually my go-to. Otherwise it’s tough, kids aren’t exactly the type to go nuts over DIY gifts. Hmm…do you have a gift card you could use to buy something? Or a return you could cash in to get some extra cash? Or are your kids old enough to buy the birthday gift themselves? Perfect! I will have to start making a birthday closet for things like this! I love that idea. I actually ended up using my costco coupon to buy their gifts! Never would have thought of that, so thank you for this challenge. Depending upon the child’s age, your skills, and what you have around the house, there are a bunch of DIY kids birthday gifts on pinterest. Some of them are really fun — sidewalk paint for toddlers, sharpie mug kit (my 5 year old would love this), pompom tutu for little girls, blahblahblah. Yes yes yes!!!! SUCH good ideas!! I’m always stumped in the DIY department, but it’s true, homemade Gak, Playdough, chalk, etc. is always so fun. Thanks for the ideas! I unfortunately didn’t have much on hand ha. I’m not much of a crafter, but I used my costco coupon to buy their gifts! Thanks so much for all the diy suggestions though! I find another way to save some money…while driving, actively pay attention to your speed. Other than obvious safely concerns, a lot of money is thrown out the window due to speeding drivers. I have been doing well. Funny trying to explain to my kids why i can’t buy them new dance tights etc but really good to be disciplined. I wish my husband was taking part but he had a big work week with client stuff. He said maybe next week?? I have also been trying to additionally add $20 a day to the budget. This has been coming from cashing out SavingStar, selling stuff on half.com, returns to store.. This has been a little tough to stick with. It’s been hard for me at work in the evenings. I usually buy myself a Coke or soda for a little pick me up so I’ve been going without. And of course, my coworkers chose this week to start asking me if I wanted to go in on food orders for dinner. I’ve resisted any urge to buy a coffee or order a cute outfit for my daughter, there’s a ton floating around on Instagram. My husband is very much on board and we might even start doing once a month weekly spending freezes. It’s been a great experience and I just keep telling myself it’s helping us not hurting us. I am doing my freeze the week after Thanksgiving when my husband can participate too. We will save more money that way. But… I have been so extra frugal this month. I have been resisting all of the online sales, no gas station drinks, and have been very careful with gas. I have already saved over $100 bucks just by being conscious about what I spend. I consider myself a very frugal person, but even small little habits add up. We have been using the envelope system for seven months. I have six children and was very worried about making sure we have enough money to pay for college and missions. With the help of the envelope system, we are no longer transferring money out of savings each month to pay for all of our overspending. Our savings account gets bigger and bigger and I am so excited about it. Thank you for all your tricks and peppy motivation. I have to say I just found your website a few days before this spending freeze started but decided it sounded like a great idea so I got on board. From doing the spending freeze it seems we have had some type of extra blessing come in about every day to include an unexpected $250 check that a relative sent us. We are using the saving to replenish the extra money we spent on baby items for our second baby who will be born next month. The spending freeze has also been a great way to realize we don’t always have to spend money (including gas) to have fun as a family. It has been a great way to feel more continent with what we own. I can try two days. Your tips and helpful advice are fantastic! I just don’t know how to get started. I think making sure my husband is on board/on the same page would be the first thing but I apparently I’m nagging when I bring it up. I used to be so good at this. I know we could save more if we reduced how often we eat out. I justify by spending less on groceries but I know it never really equals out. 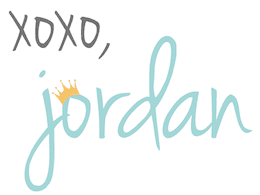 I’m going to try this Jordan. We have a ton of medical bills that will be coming and it’d be nice to not have to pay them out of our savings. I’ve always wanted to do a spending freeze! I feel like we waste so money on little things that we can’t even remember buying. It would definitely feel good to save the money we’d otherwise just throw away on stuff we don’t really need.